Castlebay, Barra is a charming stopping-off point when visiting the Outer Hebrides, writes Charmian Entwistle. Coming round the corner into a wide-open bay with beaches on several sides and a castle centre stage, it makes for a pleasant surprise after the dramatic rocky coastline you may have passed en route north or south. If you have arrived after crossing the Minch from one of the Small Isles, Skye or Mull, it is a great place to start your Outer Hebrides cruise. Navigating into Castlebay should be fairly straightforward as long as you clearly identify the marker buoy for Sgeir a Scape and avoid the rocks there, when arriving from Eriskay or points further north. If you are coming from Vatersay (famous for its stunning beaches) then the Fisherman’s channel requires some careful navigation but provides a useful short cut. On arriving in the bay, most people will opt to pick up one of the eight mooring buoys available if there are any vacant. The moorings are managed by the Comhairle nan Eilean Siar (Western Isles Council) and payment can be made at their offices overlooking the bay, which are open from 9 to 5 daily. If there are no buoys available, there is plenty of room to anchor – but make sure you keep well clear of the ferry turning area, otherwise the harbour master will be on the radio promptly requesting that you move! The anchorage is quite exposed from the south and south-west so you might need to revise your plans and head for Vatersay, Eriskay or Lochboisdale, if very strong winds are forecast from those directions. The main feature of the harbour is Kisimul Castle, the clan seat of the MacNeils, which is entirely surrounded by water. It was originally built as a strategic defence as Castlebay is the first safe anchorage north of Ireland in the Outer Hebrides. The castle has had a chequered history, and the existence of a building on that site was first recorded in 1030. The current castle was built in 1540 but restored more recently, and is open daily from April to September if you would like a closer look. Once ashore at the main pier at Castlebay, you can follow the road leading away from the ferry pier which leads into the main street (Pier Road) where a variety of small shops sell basic provisions, and there’s also a few gift shops. A larger Co-op store is about 10 minutes’ walk away. If you are looking for fresh provisions, keep it in mind that deliveries are governed by the ferries’ comings and goings so things like fresh milk and the current day’s newspapers may not always be available! There is a Tourist Information Centre on Pier Road where you can organise bike or car hire and check out the bus and taxi details. There are also cafés and hotels if you would like to eat ashore, the handiest being the Kisimul Café which offers an interesting selection of Indian or Italian food as well as some local seafood. A look at the isle of Barra website (www.isleofbarra.com) will confirm that there is quite a lot to do on the island if you want a change from sailing, including walking, fishing, golf and windsurfing. If you fancy a trip around the island then don’t miss out Barra Airport, which is the only airport in the world where scheduled flights land on the beach. 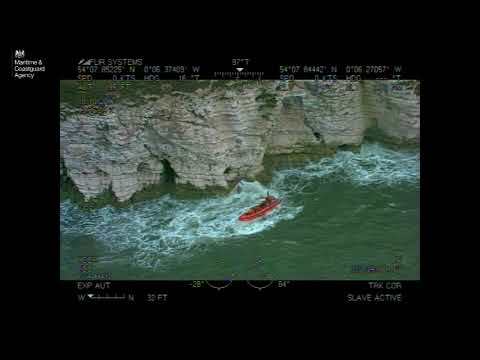 Remember to check the tides and plane times before you go there to make sure you see a plane coming in to land. Anchoring off the beach at the airport is possible, but attempting to cross the runway as a plane lands doesn’t make you very popular with the ground staff! CalMac ferries also come and go from the island most days, so Barra can be a good place for a crew change. It is quite possible to spend several days exploring Barra, but most visitors will probably be on a time schedule of some sort and will want to head out to sea again soon. If you have time, don’t forget that there are several interesting islands to the south as well as to the north. Those of you with a keen interest in birds will find Mingulay particularly interesting, with the largest colony of razorbills being found between Mingulay and Beneray. Puffins abound, and there are large colonies of fulmars and guillemots as well as other rarer species. Heading north, there is the option of the charming island of Eriskay, made famous by the film Whisky Galore which was based on the true story of the grounding of SS Politician in 1941. Further north still, Lochboisdale and Lochmaddy both now offer excellent pontoon facilities for visiting yachts. If you want to leave the boat for a little while, so you can have a break from cruising, it is probably easier to do so in the new Lochboisdale Marina on South Uist. When sailing in the Outer Hebrides, it is always important to keep an eye on the weather to avoid having a rather longer stay there than anticipated. However, the rewards for heading out across the Minch are amazing – as well as the seabird population there are larger sea creatures to see if you are lucky, including dolphins, basking sharks (in season), porpoises, minke whales and seals. Relaxing on board your yacht in Castlebay or admiring the view from the shore as the sun dips below the horizon, with the light on the castle and the ferry tied quietly up to the pier, can feel as if you have been transported into a different, more relaxing world and time. 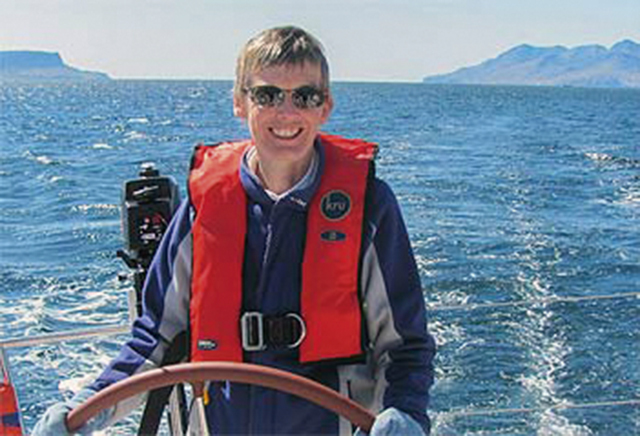 Charmian Entwistle and her husband Mark run the Isle of Skye Yachts charter company. Charmian is also a director of Sail Scotland. 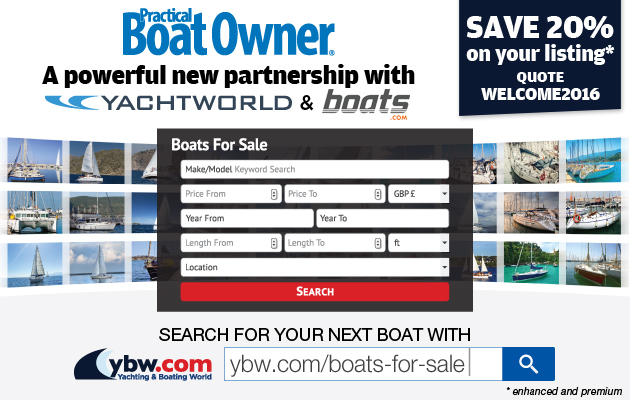 Or write to PBO magazine, Westover House, West Quay Road, Poole, BH15 1JG.